Kanthanpara waterfall (also Kanthenpara) is a unique picnic spot where you could spend quality time with your family or friends. There are two waterfalls surrounded by plantations and the forest. The narrow road to this cascade is through tea gardens and coffee plantations. Among other crops that enrich the fertile slopes, it is easy to notice banana plants and betel trees. The hills beyond the waterfall stream are covered by dense forest. So fresh cool air is always there. Invigorating indeed! 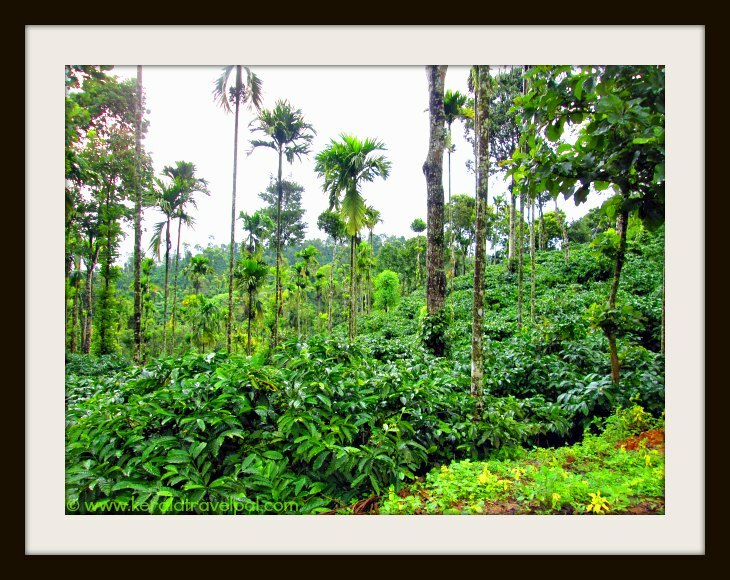 Landscape of hills and dales near Meppadi is the waterfall precinct of Wayanad. It is home to some of the best Kerala waterfalls. Ever roaring Meeenmutti and perennial Soochippara falls are well known while several small unknown waterfalls spark silver over distant valleys. Kanthanpara is a tiny fall compared to the other two. Water cascades down from a height of 30 metres in two steps. More apt to descibe them as two waterfalls. The upper fall is a tiny cascade. The plus side is that it creates a pool that is safe to access during summer. During that period of predictable and stable water flow, even children can enjoy splashing in the pool. The lower cascade is bigger and prettier. Here water falls down a rugged rock. People visit this Kerala waterfall for two reasons. Primarily, to enjoy the best of nature in the calm surroundings of a small lovely cascade. Excellent waterfall experience is at hand with some swim blended to sightseeing. Secondly, to get to a waterfall that is easy to access. While other leading falls require treks of moderate to great difficulty, the road to Kanthanpara fall reach right next to the upper fall. One thing to bear in mind is that the road ends right at the river. If careless, the driver will have a sudden confront with the river.To avoid that, drive carefully and stop where the last houses are. Also, it is better to avoid this waterfall during heavy rains. The usually gentle stream turns to a torrential flow of water and the nearby rocky surfaces get slippery. So the only thing one can do is to watch the muddy flow of water from a distance and return. The time to keep away from here is between June and September. Families with children and honey moon couples reach here for a memorable picnic. Nature lovers and tourists forget the worries of the world while spending unforgettable time at the cascade. Those desiring more of a private waterfall experience may find that here. At times visitors are only a handful. Once water starts to recede after the rains, you will find plenty of places to spread a mat and have lunch or a get together. Lush locality of the waterfalls makes it a great spot for camping. It is also a trekking area, more of a doorway for not so experienced trekkers to enter into a greater world of trekking. May need some local help to do these things though. 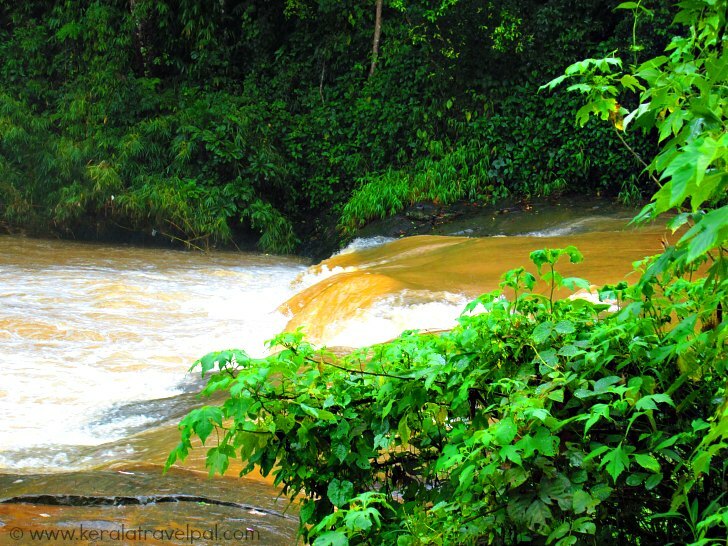 The waterfall is 18 kms south east of Kalpetta. It is located 8 kms east of Meppadi on Vaduvanchal road. The road to the waterfall is narrow and in a state of disrepair, like many small roads in Wayanad. Nearest towns : Meppadi at 8 kms and Kalpetta at 12 kms. Accommodation Options : . A few homestays are there en route to the waterfall. A small number of lodges and hotels at Meppadi town. More choice at Kalpetta, the largest town in Wayanad. Best time to visit : October to May. Avoid during heavy rains. Nearby Attractions : Chembra peak, Edakkal Caves, Soochippara waterfall, Meenmutti waterfall, Kalpetta town (shopping & food), Muthanga Sanctuary, Pakshipathalam, Kuruva Islands, Banasura Sagar Dam, Tholpetty Sanctuary, Pookode lake and Thirunelli.